No, this is not the videogame version of that decent 80's flick starring Martin Short and Dennis Quaid which saw Quaid being small enough to be injected into the body of Short, although this does need to happen now I come to think about it. 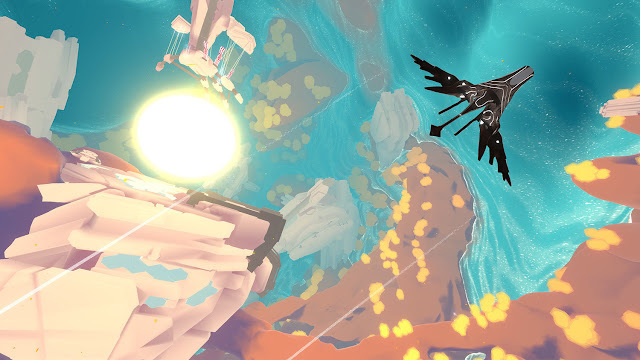 Innerspace is an exploration flying game brought to us by Aspyr and Polyknight Games, and hitting the Xbox One (and other formats) January 16th. What's it all about you say? Well the game began as a project among college friends and evolved into a successful Kickstarter campaign back in 2014. The Story of the game is all about a place simply called the Inverse, a dying realm where entire civilizations have perished, yet ancient gods still wander. The website for the game gives a few other tidbits of info, but it seems to be very much a game where exploring and working out what's the deal is the whole point of it. You know, the really easy games to review without trying to spoil it for all. Trailer looks nice and that's what made me give it a look. Only price floating around at the moment is $19.99, but the UK page is up for it, just no option to pre-order just yet (find that here).